You can download the 2019 Time for Wiltshire instantly as a digital iBrochure [?]. View the 2019 Time for Wiltshire Online Brochure Now! Wiltshire has been a special place for a very long time. Stonehenge and Avebury have a magnetism that has drawn people to them for thousands of years. But history in Wiltshire is not only ancient. Romans, Normans, Saxons – and later generations too – all made their mark, leaving a wealth of show-stopping sights to be discovered. Iron Age hillforts and castle ruins. A magnificent medieval cathedral with the tallest spire in Britain. Grand historic houses. Breathtaking gardens. Fascinating industrial heritage. Not to mention a wide range of modern-day attractions, from motor and horse racing to the UK’s first-ever drive-through safari park. Arts and culture are at the heart of the Wiltshire experience. Our festivals and events draw inspiration from the past as well as the present. Local food and drink features dishes both modern and traditional, made from the very finest home-grown produce. While high street stores, specialist retailers and markets are joined by one of Europe’s largest covered designer outlets. Wiltshire is also rolling green downs and ancient woodlands. Bustling market towns and picturesque villages. Timeless monuments and contemporary luxury. Local ales and picnics in the park. Now there is an exciting new way to discover Wiltshire: by following the Great West Way. The Great West Way is a unique 125-mile touring route between London and Bristol. Offering an extraordinary variety of English experiences, the Great West Way is for the curious. Those who want to explore further and delve deeper. Travellers for whom the journey is as important as the destination. Around a quarter of the Great West Way runs through Wiltshire. Along routes that brought druids to Stonehenge. Drovers to market. Pilgrims to Salisbury Cathedral. Only an hour and a half, or less, from London, nowhere else in England has such a concentration of fascinating iconic sites as Wiltshire. So make 2019 the year you experience their grandeur and magic for yourself. VisitWiltshire, the home of timeless experiences. You’ll be here in no time. 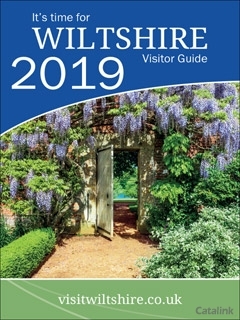 Download a digital copy of the Wiltshire 2019 Visitor Guide to find all the inspiration you need for an unforgettable visit. 2019 Time for Wiltshire Joanne M. said: living in wiltshire myself Im near to many of the attractions, lovely! - tough for people who are not from the area it is a beatiful place. Im lucky to be here. 2019 Time for Wiltshire Beth C. said: has inspired us! 2019 Time for Wiltshire Delia Claudia D. said: I am waiting for holiday and to take my family to visit that fantastic area. I have also let my friends know about this wonderful place, too. 2019 Time for Wiltshire Carlie S. said: beautiful ideas for family breaks. 2019 Time for Wiltshire Duncan L. said: Will definitely be going back there some time. 2019 Time for Wiltshire Carole M. said: Provides us with additional information to the knowledge we already have on Wiltshire. 2019 Time for Wiltshire Peter C. said: Soewhere I DEFINITELY want to visit. 2019 Time for Wiltshire SUSAN S. said: Informative, liked the map at back of brochure. 2019 Time for Wiltshire Christine B. said: Very well set out, informative with some lovely glossy pictures. We are not intending to go on holiday this year but it has given us ideas for next year. 2019 Time for Wiltshire Craig G. said: Excellent,informative and stunning photography. 2019 Time for Wiltshire Susan N. said: I will visit, it look great. 2019 Time for Wiltshire Diane B. said: Really useful information and plenty of places to visit. 2019 Time for Wiltshire John B. said: Living near to most of the places mentioned we have made, and shall make more, visits. 2019 Time for Wiltshire Michael C. said: Interesting. 2019 Time for Wiltshire NORAH O. said: always looking for new places to visit so will be kept for reference. Discover the tiny island of Alderney, a few miles from England and just off the Normandy coast, where youll find everything that makes the perfect holiday. The flight from Southampton or Guernsey is less than an hour long and with no lengthy queues on arrival youll be immediately eased into island life. Southport has everything you could need in a holiday destination: From fantastic accommodation to fine dining, flower shows to fireworks &#8211; Southport has the lot! The Yorkshire Coast has picturesque countryside, fishing villages clinging to rocky cliffs, stretches of white sand, family&#8211;friendly seaside resorts and the countrys best delicious cuisine including freshly caught seafood&#8211; an ideal family break.